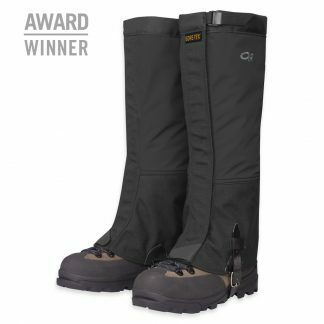 Winner of Backpacker Magazine’s 1999 Editor’s Choice Gold Award, Outdoor Research Crocodiles Gaiters — the original do-it-all gaiter of mountaineers, backcountry skiers, and off-trail adventurers — are designed to handle anything. 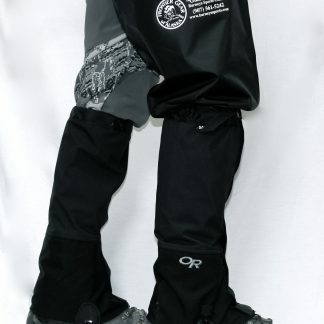 The durable Taslan Gore-Tex® leg section, much like the Crocodile Gaiter’s namesake, creates an impenetrable hide-like shield against snow, rocks, and every hiker’s bane, the thorny Devil’s Club. 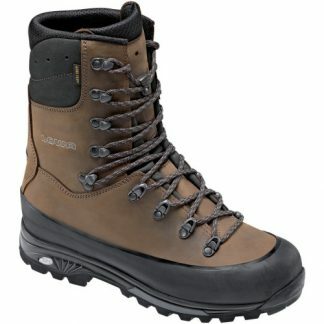 The 1000d Cordura boot section, lined with burly, coated 8 oz. 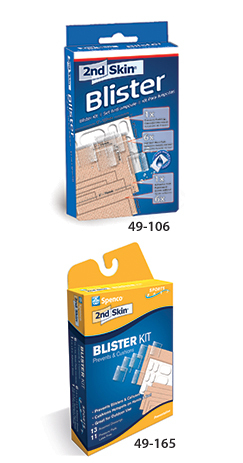 packcloth, resists the abuses dealt from ski edges, crampons and general wear. 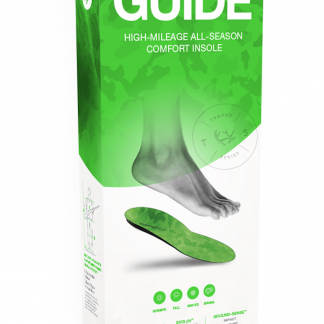 The water-resistant coating on the packcloth faces the Cordura layer, thereby protecting the coating from boot abrasion and insuring a much longer life for these gaiters. 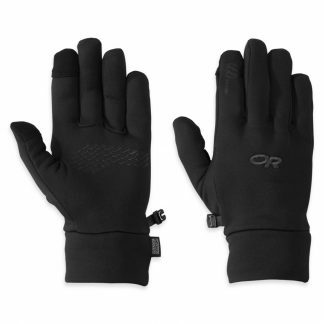 A 2in-wide hook-and-loop front closure offers enough range to accommodate leather and plastic boots as well as light or heavy insulating layers. 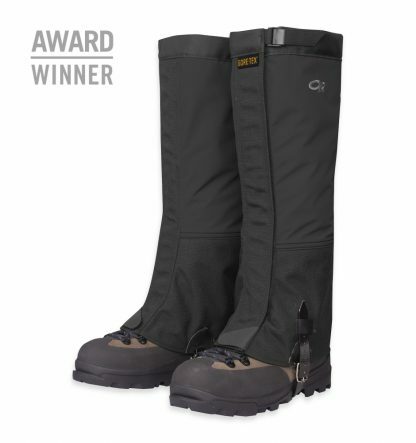 Protect your pant investment when the terrain turns against you with the OR crocodile gaiters.